In a rare meeting with members of the press at his Paisley Park Studios, the artist formerly and currently known as Prince let us know just how hard his professional life has been. His point was really that record contracts will rob artists of their bargaining power — musicians often have no control how their music is used or which streaming services it will be posted to. The point of the meeting, however, was to get word out about Jay Z’s new streaming service Tidal, which he has been involved in creating. He talked about how his deal with Jay Z still gave him the freedom to collaborate with other artists on songs which might appear elsewhere, stressing the importance of artists controlling as much of the revenue from their work as possible. He advocated seeing artists paid directly from streaming services for use of their music, so that record companies and middlemen couldn’t take a share. 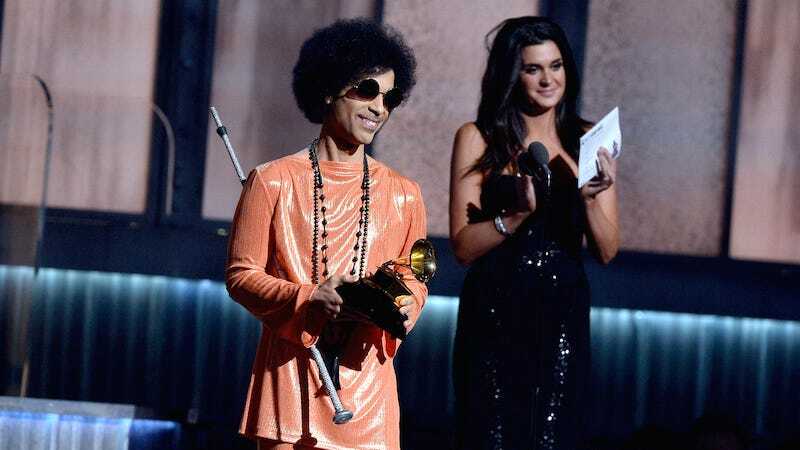 Prince recently announced that he would be releasing his new album HITNRUN through Tidal on September 7. The album will also be available as a physical CD.